An ideal tile for a kitchen backsplash or bathroom surfaces, the glass and stone combination of Splashback's sample size 6 in. x 6 in. 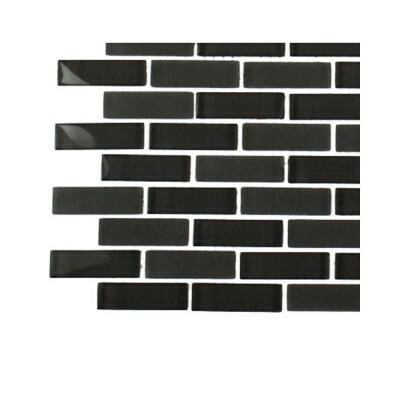 Tile Sample Contempo Smoke Gray Brick Glass Tile create a beautifully multi-dimensionally effect. The mesh backing not only simplifies installation, it also allows the tiles to be separated which adds to their design flexibility. See item 203288483 for full size tile. You can buy this product in our internet market. We will be glad if you make the right choice. 1 square foot per piece, sold as an each, weight equals 3 lb.